Hello everyone, nice to meet you. I'm SkyeWelse and I’m a part of the 46okumen.com romhacking team and also the Heroes of Legend romhacking community. I have a personal project that I had started several years back and while some really good progress was made on it, it eventually went on hold status mainly due to not having a dedicated translator. 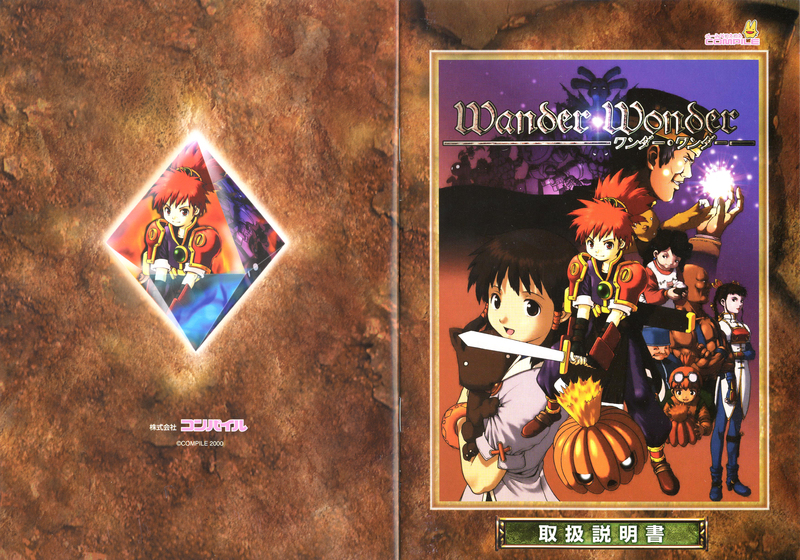 The project is for Compile’s Wander Wonder and this year marks its 20th Anniversary. So what exactly is Wander Wonder? Wander Wonder is a unique overhead 2D Action-RPG developed by Compile. 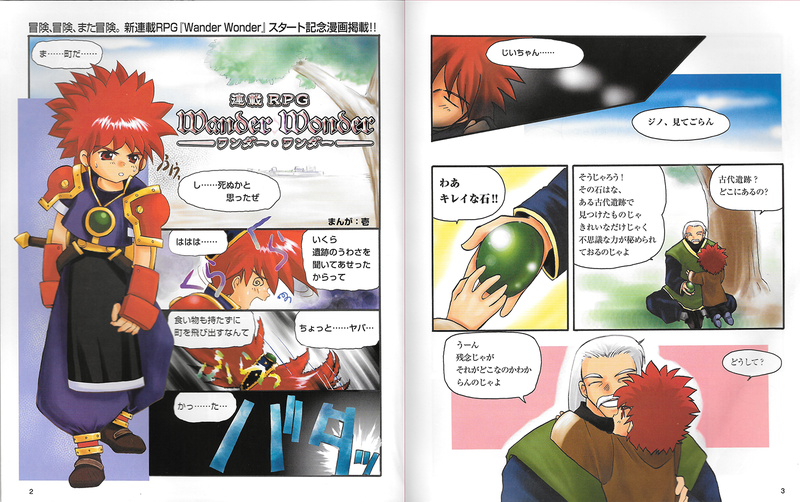 It was originally released in episodic format (3 chapters and a 4th installment called Wander Number) with each episode being distributed on a disc that came with the Compile DiscStation Magazine series starting with Vol.24 1999. Eventually, the game received a standalone release on Oct. 13th, 2000 for Windows 95. 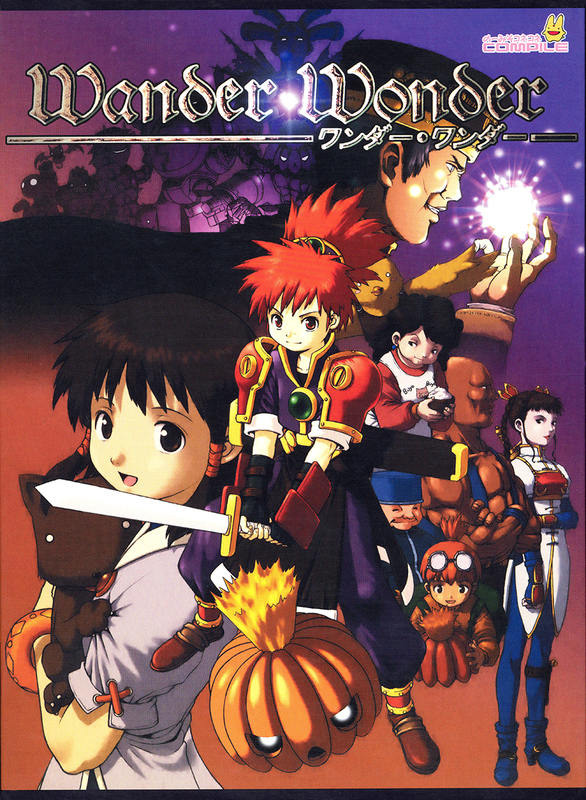 I would describe Wander Wonder as having a very similar gameplay style to Zelda: A Link to the Past (SNES) or the Neutopia series (TG-16/PCE) as you move from screen-to-screen and section-to-section fighting monsters and uncovering many hidden secrets and treasures along with way. I would say that it probably plays most like Alundra (PSX) since it contains elevation and jumping puzzle mechanics that are similar to those that are found in Alundra. It has all the elements of a good solid Zelda clone, swords, hammers, bomb-able walls, secret passages and caves, dungeons filled with puzzles that you have to unlock little-by-little, it even has a lost woods section later in the game as an obvious homage to Zelda 1 (NES). The jumping/platforming aspects of Wander Wonder are quite interesting as there are many elevated objects that Jino, the main character, can jump around on and many secrets to find, if you are smart enough to figure out your next plan as an RPG "urban runner" hero. There are a ton of puzzles in this game; Switches, block puzzles, elevation puzzles, stacking puzzles, floating platform puzzles/timing, riddles to solve, as well as certain items that must be used in certain locations to proceed with your progress. Even some of the bosses have unique take down strategies using an item or combination of items that you may have recently picked up, bringing it back to what you might experience of a boss fight in Zelda. You'll be able to tell while playing it, that the developers certainly put a lot of thought into this little game that probably not many people have heard of. Instead of having only one or two weapons to choose from, Jino will use what he finds on his journey as he collects them and stores them away in his backpack. These weapons will have a number of uses before they break and need to be repaired by the town blacksmith. The weapon drops are pretty randomized and plentiful enough to where you can sell quite a bit of them for money and keep the ones that have better stats, and save the ones that have great stats for tougher enemies. There are daggers, swords, axes, hammers, bombs, shields, a bow an arrow, etc. It is weapon drop system that probably feels pretty close to how Zelda: Breath of the Wild feels in regards to weapon usage. I feel that anyone that enjoys good action-rpgs and solving puzzles will really dig this game. Wander Wonder also comes bundled with a gambling-type puzzle mini-game called Wander Number, which can not only be played in the game, but it exists a standalone multi-player game as well. I’ve completed the game in Japanese and while I’m sure it has a pretty charming story, I can't really comment too much on the story of the game as my Japanese was (and still is) not good enough to really understand most of what went on in the game. The game starts off with an introduction sequence with the main protagonist, Jino Brodiaea as a child. in this scene Jino’s grandfather is telling a story to Jino about a legend surrounding a mysterious ruins he once came across in his travels and also about a mythical and powerful stone/crystal called the Orichalcum. Jino tells his grandfather that he plans to grow up big and strong so that he can find these ruins that his grandfather spoke about and journey with his grandfather to see them again. The scene fades and Jino, who is now 14 years old stands over his grandfather's tombstone. Unfortunately his grandfather has passed away and Jino vows to make his grandfather proud of him and sets off to find the ruins that his grandfather spoke about in the story. However, on while on his journey, Jino discovers the hard way that he has not packed enough rations for his adventure (he’s not the brightest) and collapses of hunger. Fortunately, he is found just outside the outskirts of a town called Encia by the town blacksmith and weapon shop owner, Largo. Largo takes Jino back to town allows him to stay at the town inn on his dime. Encia town serves as a hub for a large portion of the game, but eventually Jino will become strong enough and better equipped to journey to many hidden ruins spread out across the land and eventually to the nearby capital city of Delphi. During his adventure, Jino meets many interesting characters and befriends a girl named Tia Chanti, who seems to have some kind of mysterious power, and after some time, he discovers that he is not the only one interested in exploring these ruins. A mysterious sorcerer called Thales appears to be searching these nearby ruins for the legendary Orichalcum stone, and Thales’ motives do not appear to be up to any good. Jino and Tia set out to find the Orichalcum first and either harness or destroy its fearsome power before Thales can achieve his diabolical goals. After the game is finished there is an extra chapter with some extra challenging end-game content to complete and Tia Chanti is unlocked as a playable character and she's a hand-to-hand brawler and quite fun to play as! She plays pretty much how you might imagine Sakura from the Street Fighter series would play in a top-down Zelda adventure. I've been wanting to see a translation project finished for Wander Wonder for several years now. I had approached a few translation teams about it, and really just never had any bites or interest at the time. I think most people just never really knew the game well enough to really consider looking into it. A few friends and I (Flame, Xalphenos and m-Bot) had a vision of seeing this great game in English one day, so opened a project workshop for it at the Heroes of Legend Romhacking community. We actually made quite a bit of progress with hacking the game. We figured out out how to unpack the script archive, dump and re-insert the script, how to unpack the special Compile graphics format (CNX) to (GMP) to (BMP) and back again, and I’ve finished editing most of the graphics from Japanese to English, at least the ones that have been translated so far. Work had been done on creating a VWF hack as well. Even though we made a lot of progress and even managed to insert a machine translation back into the entire script as a test, without there being a dedicated Japanese translator onboard for the project, all future work on the pretty much came to a grinding halt. We all became pretty busy and most of us moved on to other projects and Wander Wonder sat in a buried treasure chest so to speak. I'm hoping that this can possibly be completed and released this year or early next year to celebrate the 20th anniversary of the game's release. This year, now that I’ve finally gotten some time to re-examine where we left off with the project, I wanted to post a formal request here at RH.net for an interested translator and possibly some additional hacking assistance as well since I recall there being some graphics that required some adjustments in the executable in order to get certain graphics to display correctly. (See Screenshots for an example). 6. Compile DiscStation.Vols. 24, 25, 26, 27 Wander Wonder / Wander Number articles first featuring the game. It would be great if we could include 5 and 6 in the release as well, but I think 1-4 are definitely the most crucial items for the release. 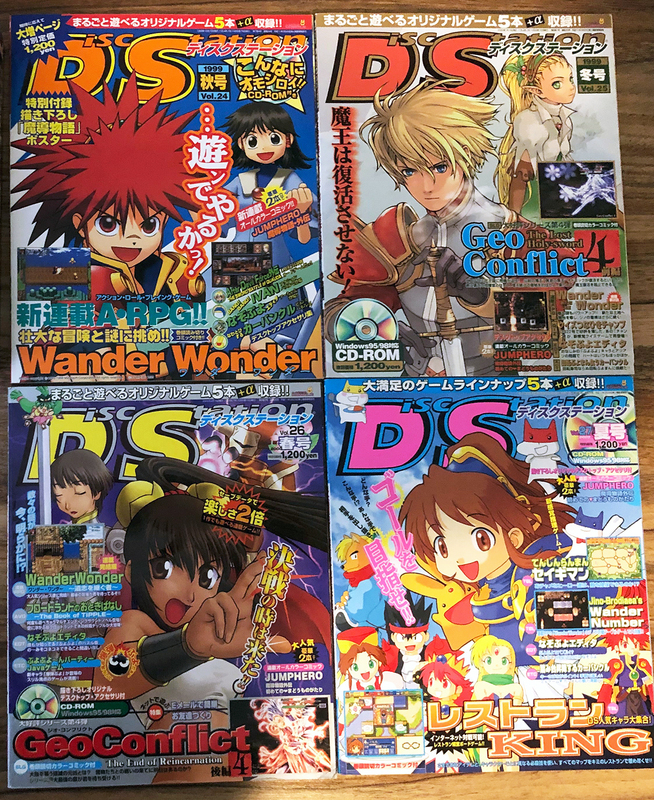 In addition to collecting the original game’s full release, I’ve collected all of the DiscStation magazines that first introduced Wander Wonder and I think it would be wonderful to not only offer it as a preservation of this information but also have be understood for the first time in English. *EDIT* I still have some more information to add to this in separate posts such as where we are with the project specifically, I wanted to share the script archive, the various programming tools we've created for the project, what still needs to be done as far as graphics go and why some programming help may be needed as well as translation help, supplemental materials and resources, etc... but it all went over the 15,000 character count posting limit and I am not able to double-post until this thread has been open for 7 days apparently. I'll post the other information as I am able to do so. Looks cool. Compile always makes cool games, so best of luck with this one. Thanks Guadozoku! Compile does make a lot of great games, so I'm a bit surprised that this one seems to fly under the "Randar". Here is a list of all of the project tools that our team developed aid in hacking the game and the proprietary compressed archive formats that Compile used. What is used for: Unpacking files inside a .FLD archive. Notes: There is no user input. Drop it in the folder with wander.fld, and it will try to perform its function (either pack or unpack). There's no error handling either. Any error will be unhandled. The most likely error is file not found, I think. You must run the unpacker before the packer. The reason is that the unpacker creates two meta data files that are needed by the packer. What is used for: Packing files into a .FLD archive. Notes: Python 2 - Run with Command Line (python script.py filename) or IDLE using by adding the "sys.argv.append('filename')" as the second last line of the script. FILENAME should be the .sq file without an extension. The first script is OPDEMO00. It kinda sorta works at least with this file. I need to figure out "box terminator codes" for the various script files. For OPDEMO00, the terminator is 401458 (appears right after text blocks). If you switch to a different script file, you will find it has changed. It always starts with 4014, the last # is different. The various nulls in the script I think are being used to four-byte align certain opcodes. The 40145800 is not one of those that's aligned- it always appears right after the text. It's also looking for SCRIPTNAME.csv which is the exported .TSV from Google Sheets, but converted back to S-JIS format. If it finds both of those things, it will give you SCRIPTNAME.sq in the same folder, which is the bit-flipped version, and SCRIPTNAME.sq in a sub-folder, which is the unflipped version, ready for inserting. What is used for: A patch that was created to fix the font in Wander Wonder to be a Variable Width Font. Notes: Contains XDELTA format and IPS format patches. What is used for: A unpacker/packer, decompressor/compressor command line program for many file formats. As of current version listed above, this will work with the following file extensions: .cnx, .gmp, .bmp, .mlk, .fld, and it3. Notes: Based on PuyoTools this program started off as a CNX decompressor/compressor for Wander Wonder, a Compile game. The CNX file format was planned for PuyoTools but at the time of writing is not included in the original program. This project evolved from that and has become a planned Swiss Army Knife Tool for many formats that we plan to work with. Double-click CompileTools.CLI.exe (not the other one) and type a command. What state is Wander Wonder's progress now? So in addtion to needing an interested Japanese translator to translate the script, there are also still quite a few graphics that still need to be translated, edited, inserted and tested. 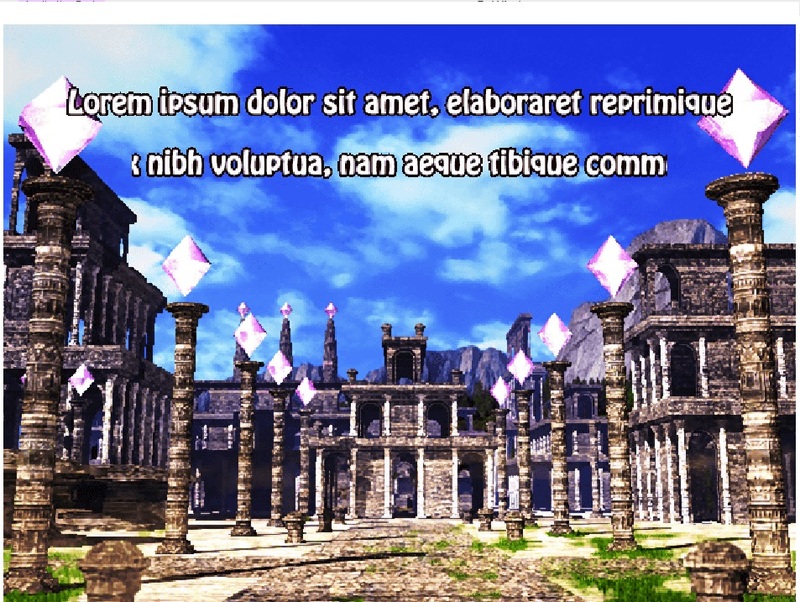 Testing will probably involve whatever hacking / programming work that Xalphenos did originally for the Opening Graphic to increase the boundaries of the padding of the default text/graphic boxes. Here is an example of what I mean by that. Xalphenos was able to figure out what was limiting that padding boundary and through his help we eventually solved this problem for the "op_font.cnx" graphic. Using a program called Scanner & Translate for the iPhone I was able to dump what I believe are the correct Japanese characters for each of these graphics. I haven't had time to eyeball each individual kanji yet to make sure, but I thought it might help speed the process along some. Title Screen / Menu Options? Here is a collection of some Wander Wonder related points of interest if you are curious to learn more. HTML Game Manual - This is included with the game and I say it's an "HTML" manual because it was meant to be opened on a local computer that could read a very archaic HTM/HTML format and much of it was referencing capitalized files which would not show up in an online web browser without some editing overhaul. Fortunately, I've already taken care of that and it's now fully readable in a modern internet browser. It would be nice if we could translate this so that an English version of this exists. Mkjpg's RPG World - Japanese Website with a lot of Wander Wonder information. By far the most information on the web. I've made an archive of this website in case it should ever go down which can be downloaded here. An interesting Japanese fan-site with lots of interesting Wander Wonder fan art, icons, short comics, and music. Be sure not to miss this page. My Collection of Game Saves... All 48 of them, individually labeled as to where they put you at in the game. A bit more information to come, specifically about how to find a copy of Wander Wonder legally and how run the game on modern Windows machines. Very nice, detailed posts:thumbsup:. Really looking forward to this, thanks! Thanks! I am too! Really hoping we can find a translator who would be interested in taking this project on. I would love to be able to release it this year to mark the 20th Anniversary of the game. From what I am able to determine, the script of the game isn't too terribly long either. Here is some more information I wanted to post for those interested in getting the game legally and some steps on how to get it to run properly on modern versions of Windows. While it can be pretty rare to find a physical boxed copy of the game, especially nowadays, you can find it on Project Egg very easily by visiting this link. While it is unknown if this will always be the case, currently at this time of writing this, it is a free game to download for all Project Egg members. If you've not used Project Egg before, it is a subscription service that you sign up for, and after you have signed up any games you download or purchase from that point on will be something that you can download and play for as long as you like even if you cancel your membership with Project Egg. With the exhange rate as it is currently, $4.45 is all it took for me to get Wander Wander and a bunch of other neat Compile games‏ by joining up for a month of service and then cancelling if I wish. Not a bad deal‏ at all, and the best part is, this is not an emulated PC game. They are actually delivering the PC game that can be modified / patched, dumped or extracted. How to use Project Egg? 7. On this page here. How to Cancel Project Egg? Then you just have to hit the button that says "サービス利用停止" or "Terminate Service" and follow any remaining steps. Edit: After following these steps at the Project Egg website, it simply tell you that if your payment method was via PayPal, you have to cancel your auto-payment / subscription service through PayPal. How do I setup/play the game? Wander Wonder was originally developed to be played on an OS around the year 2000, so Windows 95, Windows ME (Mistake Edition) or Windows XP would normally run the game just fine as long as it was run with the Region and Language Settings turned to Japanese inside of the Windows Control Panel. Nowadays with a newer OS, it can be run in a compatibility mode for Windows 95 or Windows XP in Windows 10. The easiest way to run the game without changing regions to Japan, or if you are not running a Japanese version of Windows, you can install the Microsoft AppLocale program and run the exe file inside of that set to Japanese as the native language for the software. AppLocale worked well in Windows 7 through 8.1 I but no longer works in Windows 10. For windows 10, you can download Locale Emulator. You can find Locale Emulator here (current version 2.4.0.0) and once it is installed, you can right-click the exe file and launch the game in Japanese mode. How would I take screenshots? *Note, in this screenshot I'm currently using DXWnd DLL version 2.02.87. You can download my copy if you like, or try to see if you can get by with a different version. Then as long as you have DXWnd running in the background, if you launch Wander.exe through AppLocale, it will take in the DXWnd settings and force it to appear in a window size of your choice. *Note however that not all custom resolutions will work and many may result in a black screen with only audio playing. It may be different depending on your monitors resolution / capabilities, but for my 22 Inch HP2207W, I can get away with a nice 4:3 view of 1280 x 960, which looks nice when you take in-game screenshots. You'll have to use ALT + TAB to select a different program outside of Wander Wonder when it's running, but it should still sit there on your desktop allowing you to PrtScn and paste it into Paint, or do what I prefer to use, Snipping Tool which is built in to Windows. If you absolutely need to exit the game, the command to do that is F9, which will bring up a "Are you sure you wish to quit? Yes/No" message in Japanese. Thanks for viewing the project!